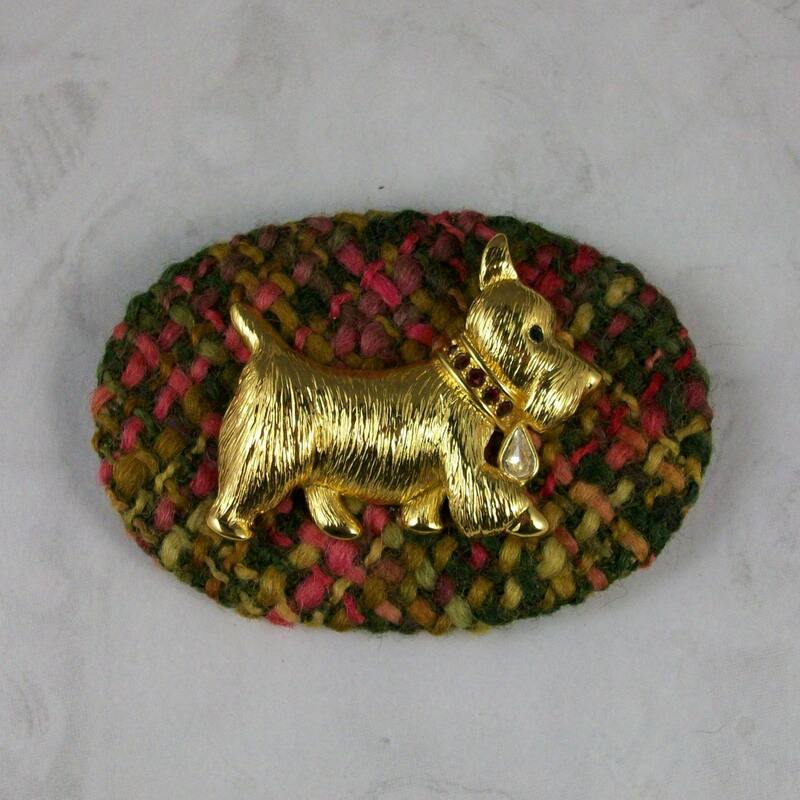 I’ve upcycled a vintage gold tone Scottie brooch with rhinestone collar and tag by mounting it on an oval base I’ve upholstered with autumn hued boucle tweed fabric. The colors in the fabric are light and dark olive green, fuscia, plum, ochre and rust. I’ve covered the back with olive colored glove leather and securely adhered a modern safety-type pin. Total dimensions of this brooch are 3-1/4” x 2-1/4” (83x57mm). This brooch would look great on a woolen cloak or jean jacket.